With fall finally looking like it may arrive the Fall Fishing and Fall Fishing Charters should be heating up. We should start to see good numbers of Sailfish showing up. 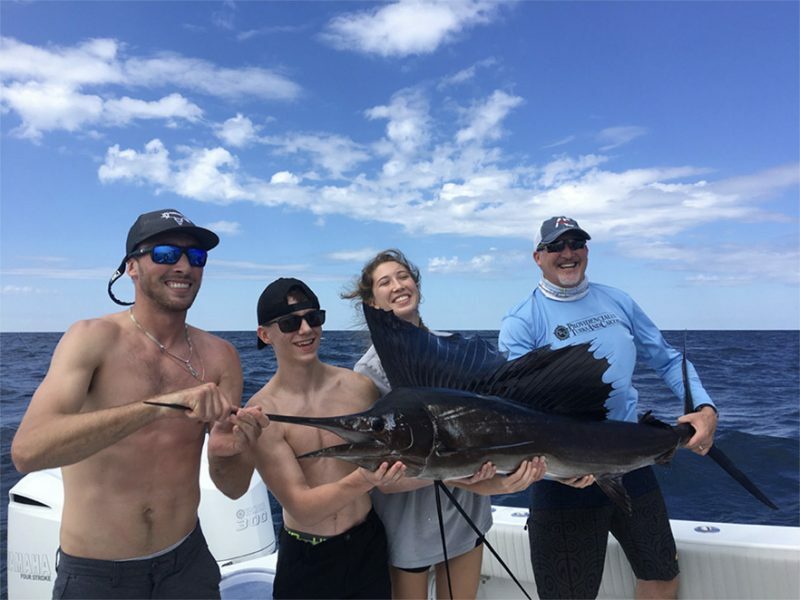 Sailfish are probably one of most exciting fish to catch in the ocean and on Fishing Charters. They can range in size from 30lbs to close to 90lbs. I will say out of Port Canaveral we get some big ones. Our average fish is probably in the 70lb range. They will give you a great show, jumping and peeling off drag, it’s definitely a show of a lifetime. Now we know at Anglers Envy our clients want some good eats in the box at the end of the day of offshore fishing. Great news this time of year , the blackfin tuna are showing up and the Mahi have been steady. The weather can be unpredictable this time of year, but there are plenty of days to get out and fish. Just be patient and hopefully you can get out and have a great day aboard Anglers Envy Charter. Book your trip today.